The effects of age and stress tend to take a toll on the skin. These effects include frown lines, laugh lines, crow’s feet, and even forehead creases or wrinkles. With the help of Botox and fillers, we help patients rejuvenate their appearance by correcting the appearance of their skin. 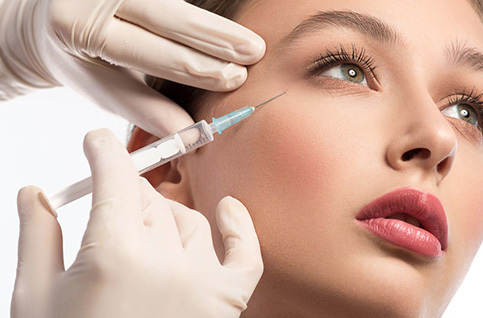 Botox and fillers are one of the key components of Lansdale Plastic Surgery’s non-invasive skin procedures. Botox is a popular non-surgical injection. Botox helps reduce or get rid of facial creases and lines. 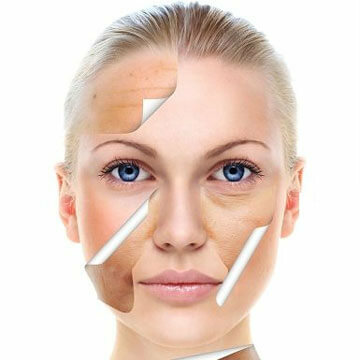 The cosmetic procedure temporarily paralyzes the muscles which cause the wrinkles. This gives the skin a more youthful and smooth appearance. We recommend that this simple treatment is repeated regularly every three to four months. This helps ensure attractive and long-lasting results. JUVÉDERM®: This helps smoothen facial folds and wrinkles by adding volume and hydrating the skin. This filler provides long-lasting results which may last up to nine months. RESTYLANE®: This cosmetic filler works best on the cheeks, under eye area, lips and the folds between the corners of the mouth and the nose. It helps rejuvenate the skin by restoring its fullness and volume. The filler is a great cure for severe facial folds and wrinkles. The results brought about by Restylane® can last as much as six months. RADIESSE®: This filler works towards adding volume to lines around the mouth, nose, and smile lines. It also helps cure sagging cheeks by restoring their natural contours. As the skin regains its fullness, this filler also helps stimulate growth of the skin. In turn, this results in a smooth, youthful appearance which can last for over a year! Laser hair removal is a convenient, noninvasive method for permanently reducing or removing unwanted facial or body hair. It leaves the skin looking smoother and silkier than waxing, electrolysis or razors and is a gentle technique that can treat larger areas effectively with minimal discomfort and with no downtime. Today, laser hair removal is one of the most common aesthetic procedures performed in the United States. PCA SKIN® has been and continues to be a trusted innovator in the development of highly effective professional treatments and daily care products. Our vision is to improve people’s lives by providing results-oriented skin care solutions that are backed by science for the health and beauty of your unique skin. PCA Skin- Peel Hydroquinone Free: Ideal for oily, sensitive skin types, this modified and enhanced Jessner’s solution improves breakout-prone skin and promotes an even skin tone. PCA Skin- Peel w/ hydroquinone: Perfect for normal skin types, this modified and enhanced Jessner’s solution lifts discolorations and clears breakouts for a bright, even complexion. PCA Skin- Sensi Peel: Formulated for all skin tones and types, including highly sensitive skin, this gentle TCA blend improves surface texture and fine lines while brightening skin. PCA Skin- Ultra Peel I: Formulated for maturing skin, this TCA blend improves surface texture, including fine lines and wrinkles, and promotes a bright, even skin tone. PCA Skin- Ultra Peel Forte: Best for resilient skin, this more active physicians’ use only TCA blend, rejuvenates and evens skin, while improving fine lines and wrinkles. 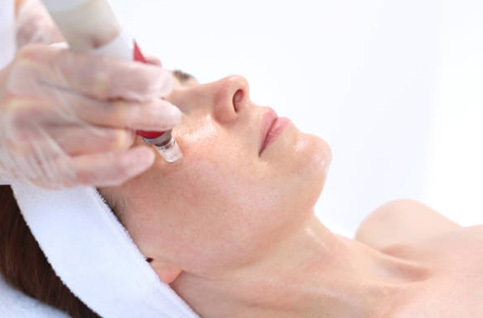 Microneedling is a minimally-invasive, safe and effective cosmetic procedure that is used to improve fine lines and wrinkles, acne scarring, and pore size. Overall, it helps to improve the texture of the skin. It can be used effectively in most body locations including for wrinkles around the mouth and eyes, as well as the thin skin of the hands and neck. Microneedling uses a specialized pen with very small needles to create tiny micro channels in the skin. As the skin repairs these small injuries, it stimulates the body’s natural ability to produce collagen. Since microneedling uses the body’s own repair systems to improve appearance, results are not instantaneous. It typically takes a series of 3 to 4 treatments to obtain the maximum benefit. IPL or Intense Pulsed Light is a non-laser treatment that delivers gentle pulses of visible light to the skin. 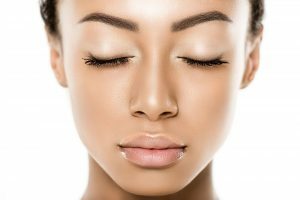 A series of treatments can improve the skin’s overall appearance with little to no “down- time.” Photorejuvenation is an innovative technique to treat the entire face, leaving skin looking younger and feeling smooth. IPL can counteract sun damage, eliminate unsightly veins, can and treat rosacea and other pigmentation issues along with stimulating collagen with the heat it delivers to the under layers of the skin. The light penetrates the skin to heat the abnormally dilated blood vessels and the melanocytes that contain pigment. The heat closes the vessels and forces the pigment cells to release their pigment. The pigment is gradually cleared over the following week. You can resume your busy lifestyle immediately. Pearl Fractional is an ablative fractional resurfacing, designed to improve imperfections due to aging, sun damage, and acne scarring. Pearl Fractional offers the best combination of safety, patient experience and recovery time. During the procedure, the laser uses heat to create tiny holes deep in the skin. The process removes sun-damaged tissue and then stimulates the growth of healthy, new skin, full of fresh collagen. This plumps the skin from below, repairing photodamage and other skin imperfections. Patients also notice a smoother, brighter complexion overall. Laser Genesis is a non-invasive laser treatment that restores skin tone and treats fine lines and wrinkles, scars, large pores, and active acne. This heat-based laser stimulates the body’s natural healing processes to boost collagen growth resulting in a more youthful skin tone and texture. This treatment is especially effective in treating rosacea and both acne and other scars. The treatment usually requires about 3-5 treatments, depending on the desired effects, but has zero downtime or recovery. CoolGlide is a non-invasive laser used to tackle and target broken vessels of the face and red, blue, and purple spider veins of the legs. The laser delivers energy that blanches the vessels which in turn prevents further refill of the vessel or vein. The body absorbs the vein as part of the natural healing process. This is an effective solution to minimize spider veins with minimal discomfort. A series of treatments is needed to see optimal results. Laser is not a suitable option for varicose veins. Here at Lansdale Plastic Surgery our Aesthetician will examine your skin and customize a facial for your skin type, condition, and results you are looking to achieve. Our facials are great options for those who are not interested in laser treatments, or for patients looking to maintain their skin. The main goal of our clinical facial is to promote skin health in the long term. One of the biggest pluses of our clinical facial is that it promotes rapid cellular turnover. This is a process that slows down as we age and can leave us with a dull complexion. The beauty of an increased cellular turnover is its ability to minimize age spots, fine lines, acne, and acne scarring. One facial treatment can leave you with a beautiful glow and you can immediately return to regular activities after your treatment. It is recommended to receive our facials every 4 to 6 weeks, to stay ahead of your natural skin cell cycle.